Built as a companion piece to the Klim Carlsbad Jacket, the Carlsbad Pants follow the same formula of creating a fully-capable, off-road adventure pant that is stripped down and streamlined just the right amount. For the Carlsbad Pants, that means you’re getting a performance Gore-Tex laminate shell that is both abrasion resistant, armored with CE level 1 protection, and guaranteed waterproof for life. And since the waterproof membrane is built directly into the pant’s construction, you won’t have to mess with removable liners or material that bunches up. However, you will get excellent breathability through the material and zippered, direct venting to your legs. The Carlsbad won’t be as technical as Klim’s more expensive options like the Badlands or Kodiak, but it still has several features that promote usability like multiple points of fit adjustment, zipper pulls that are easy for gloved hands, and diagonal side pockets that’re very convenient for small essentials. All this makes the Carlsbad a solid addition into Klim’s lineup, especially when it comes to adventure riders that want a durable, aggressive pant without spending a fortune or feeling weighed down by excess technicality. Gore-Tex® performance shell. Guaranteed to keep you dry®. 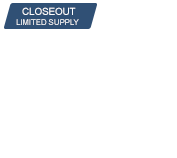 Cordura® rip stop fabric in abrasion zones. Leather inner knees with DWR treatment, overlaid on inner leg panels for wear/heat resistance. D3O® CE level 1 hip armor (2). D3O® CE level 1 knee armor (2). 2 storage pockets on side thigh. Black 3M™ Scotchlite™ reflective material. Mapped mesh wicking liner with Cordura in inner knee and cuff for wear resistance. Adjustable cuff design allows pant to be open enough to adjust boot and knee guards/braces. Adjustable waistband via Velcro side waist adjusters. Coming from a old adventure rally pant in same size, I was disappointed to find the carlsbad just didn't fit good. The pants are about 1- 1.5" longer then the rally pants, and much more baggy in calf/ knee area. The weight of the carlsbad is much lighter then the rally, but the ventilation and armor isn't on par ether. If you are tall with average waist these pants should fit ok, except the baggy calfs / knees. 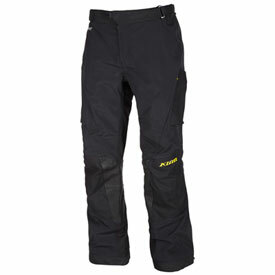 Returned pants, probably buy rev-it or find a pair of overland pants for sale. 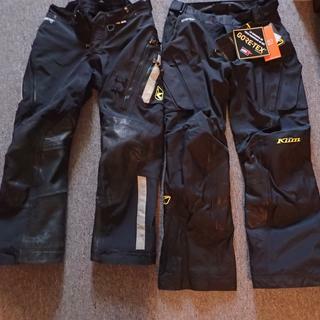 The KLIM quality is exceptional but expensive. The reviews are good that's why I purchased the KLIM Carlsbad jacket & pants. The size is pretty accurate. I will be doing a week long ride in March 2018 thru the Hill Country in Texas so will give a better actual review how it holds up in the heat and rain. I have had the Carlsbad jacket now for a couple of weeks and am still impressed.